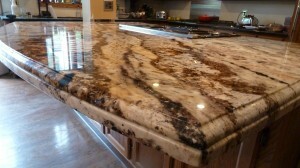 Check out our amazing special offers on quality kitchen countertops in Columbus Ohio! We have the best prices on kitchen countertops in Central Ohio. If you are considering remodeling your Kitchen or Bath, come into our showroom for a great selection and super fast quote. The cost of a Granite Countertop is more affordable than ever before, so let us help you get started today. As a locally-owned and operated company, our number one priority is customer satisfaction. We stand behind all our work and go the extra mile to make sure that you are 100% satisfied.